I’ve been the Minister at Northwood since September 2018 and before that looked after the Hayes section in the south part of the Harrow and Hillingdon Circuit. I originally come from a seaside town in East Yorkshire and still have a trace of a Yorkshire accent! 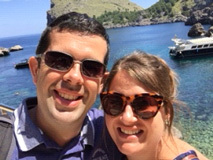 I’m married to Laura and we enjoy travelling and exploring new places together. We love meeting up also try to meet up with family and friends as often as we can. I love a good discussion around current affairs and enjoy swimming and drawing although not at the same time! My hope and prayer is that you would encounter the living God in a fresh and dynamic way. Putting Jesus in the centre of my life is the best decision I ever made. 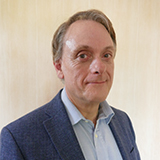 Adrian Mansbridge – Is a Church Steward and a member of the church leadership team. Adrian was born in Pinner and grew up in South Harrow. He went to Manchester University and after graduating trained as a Chartered Accountant and Chartered Tax Adviser. Adrian grew up in the Anglican Church but after meeting and marrying Gillian, a Methodist, decided to follow the Methodist path which delighted his late father who had followed the opposite path! Some wonderful experiences overseas with Methodist connections in Maua (Kenya), Segbwema (Sierra Leone) and elsewhere and an amazing wife (and children) have influenced him for the better! In addition to working with the young people of the church on a Sunday morning and organising our Messy Church events, I enjoy helping on Monday mornings at our Little Acorns Toddler Group. I am also involved in regular Jewish-Christian dialogue meetings with our friends from NPLS next door. My favourite event at NMC is the monthly Sunday Evening Bible Discussion group. 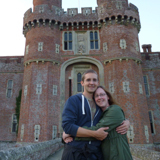 Lynn & Ben Harrison – Are both part of the NMC Youth Events team and Sunday school team. When not busy with church Lynn works in the legal profession, enjoys photography and is a keen Mudlark (If you don’t know what that is feel free to ask her at church). As well as the youth team Ben is also involved in the church marketing, designing many of the event posters seen at church and around Northwood, as well as this website – I am Admin. 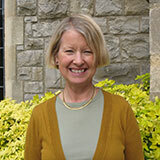 Karen Lane – I’m a Church Steward and Junior Church leader. I like to help with any activity that involves food such as serving morning coffee and cakes in the Oasis Coffee Lounge, providing the meal for the children, parents and helpers at Messy Church, and baking for fundraising cake stalls at various times of the year. I also play badminton in the Church hall.